This week, we cut back on the philosophical exhortations a tad. The Lord begins bluntly: “Look, I place before you (singular) today a blessing and a curse,” a blessing if you (plural) obeying the laws and a curse if you (plural) don’t. The mix of singular and plural indicates the interplay between individual and the community of which that individual is a part. Some of the commentators think this pertains to the specific blessings and curses that we will read in a few weeks. In Re’eh, we start to get into the nitty gritty of how to follow the laws of the Torah in the Promised Land, since entrance into the Land is imminent. An over-arching concept is that the Israelites are not to do whatever they feel is right in their own eyes. That path leads at the very least to chaos (cf. the Articles of Confederation and Israel in the age of the Judges), if not utter destruction and obliteration of their identity. There are defined limits. For example, the Israelites will now have the opportunity to eat non-sacrificial meat, but permission is given reluctantly and with limits. Only certain animals are kosher, the blood is not to be consumed, and they are commanded to not seethe a kid (baby goat) in its mother’s milk, a command which gave rise to the separation of meat and dairy. The people are also warned to be on their guard against false prophets, even (or especially?) if they are family. How can you identify a false prophet? Both true and false prophets might have the ability to perform to perform miracle-type signs and wonders (Abravanel, Maimonides). The sages readily concluded that a prophet who urges violation of the Torah is, ipso facto, a false prophet (Sanhedrin 90a in the Talmud, Maimonides). Other laws in Re’eh concern second tithe, support for the Levites and the needy, the consecration of the firstborn of the flocks,and the remission of debts and freeing of Hebrew slaves every seven years. If the slave wants to stay, you have to pierce his or her ear(lobe?) with an awl, into the door, and the slavery is made permanent. The last chapter concerns the observance of Passover, Shavuot, and Sukkot, the third time we read laws for these holidays. This time, along with the prescribed times and sacrifices, there’s more of a sense of their being harvest festivals, with references to flocks and threshing floors and putting sickles to the standing grain. The focus really is on how life will be lived in the Promised Land. There are three possible haftarot: the third Haftarah of Consolation (Isaiah 54:11-55:5), the Shabbat Rosh Chodesh one (Isaiah 66:1-24), and even the Machar Chodesh one (for the day before a new moon), since Sunday is also Rosh Chodesh. There are several possibilities, but typically it’s Isaiah 54:11-55:5 (otherwise you can’t get all 7 Haftarot of Consolation in without squeezing two together in a couple weeks) and maybe Isaiah 66, verses 1 and 24 only. YSMV (your shul may vary). More on Elul and the dialogue of the Haftarot of Consolation soon. The farmer’s son was returning from the market with the crate of chickens his father had entrusted to him, when all of a sudden the box fell and broke open. Chickens scurried off in different directions, but the determined boy walked all over the neighborhood scooping up the wayward birds and returning them to the repaired crate. Hoping he had found them all, the boy reluctantly returned home, expecting the worst. It’s Harvest Sunday at a small village church in rural England, and the vicar is organising his annual harvest service, where people bring their home-grown plants and vegetables to the service. But this year is different. The local village cricket team has just won their league, and the village is in celebratory mood, so the vicar decides to do something special – he will combine the normal harvest service with a cricket theme. The day of the service arrives, and the church is filled with flowers. People are bringing in their offerings of vegetables, and in the middle of the display is a cricket wicket; a strip of turf with a set of wooden stumps at each end, and people are laying their offerings on the wicket. Everything is going fine, until one lady comes up to the front of the church, and places a bag of frozen peas among the other vegetables, but she is stopped by the vicar, so she returns to her seat, still clutching her peas. “What happened?” asked the lady she’s sitting next to. Did you hear about the great new restaurant on the moon? The food is excellent, but there’s no atmosphere. Q. How do you know when the moon is going broke? A. When it’s down to its last quarter. A lady went into a butcher shop complaining about some hot dogs she had just bought. A man, who was already in the butcher shop, finished his purchase and noticed the dog. The butcher leaned over the counter and asked the dog what it wanted today. The dog put its paw on the glass case in front of the ground beef, and the butcher said, “How many pounds?” The dog barked twice, so the butcher made a package of two pounds ground beef. He then said, “Anything else?” The dog pointed to the pork chops, and the butcher said, “How many?” The dog barked four times, and the butcher made up a package of four pork chops. The dog then walked around behind the counter, so the butcher could get at the purse. The butcher took out the appropriate amount of money and tied two packages of meat around the dog’s neck. The man, who had been watching all of this, decided to follow the dog. It walked for several blocks and then walked up to a house where it began to scratch the door to be let in. Upon Mt. Sinai, Moses is receiving the Torah. What’s up with this strange new hechsher? 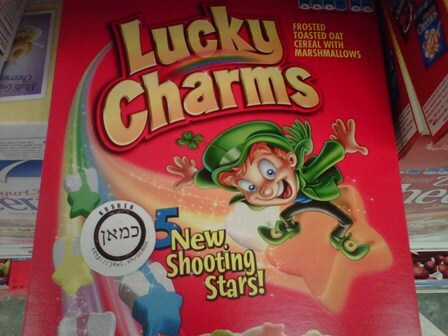 [kashrut certification mark] popping up on various products. I’ve never seen it before. Have any recognized authorities commented on its reliability? 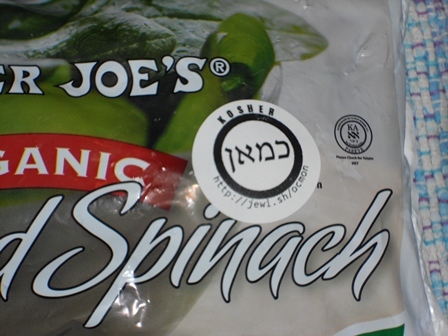 The O-Cmon is the world’s first crowd-sourced Kosher certification. Like Wikipedia orJudaism.Stackexchange.com, we take advantage of the wisdom, efforts, and interests of the crowds to generate high-quality kosher certification on a wide variety of products with very low organizational or procedural overhead. Unlike the legacy hechshers, which flow halachic authority down from centralized posekim [decisors] to professional field personnel to products to consumers, the O-Cmon flows the authority sideways, from consumers, or rather, pro–sumers to products and each other. 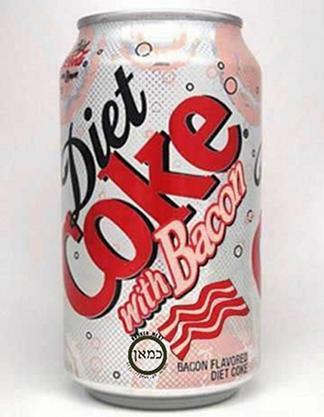 Instead of relying on expensive inspection processes and time-consuming Halachic research, the O-Cmon takes advantage of each prosumer’s God-given common sense and Jewish knowledge. · ?כמאן – Says who? Says me!